In order to develop and maintain our Archives & Special Collections, policies are in place to care for our materials and guide researchers. Criss Library’s Archives & Special Collections includes the University Archives, Arthur Paul Afghanistan Collection, U.S. Senator Chuck Hagel Archives, Special Collections, and Rare Books. Criss Library is committed to preserving these collections and making them available to current and future generations of researchers. Due to the rare and unique nature of the materials in Archives & Special Collections, specific guidelines to access and use of the collection apply. To ensure that materials are well-cared for and available for future use, all researchers are required to read and agree to this policy. The Research Access form must be completed before using reading room and materials. ID will also be required. Archives & Special Collections is open for use 8:00 a.m.-5:00 p.m. Monday through Friday. Materials will be pulled up to 4:30 pm. Appointments are encouraged, but not required. All items must be used in Archives & Special Collections’ reading room. Materials cannot be checked out or removed from Archives & Special Collections. Researchers will request materials by completing a call slip and a staff member will retrieve the materials. Archives & Special Collections staff are available throughout a researcher’s visit to answer questions as well as ensure the proper care and handling of material. The number of items given to a researcher for use at a given time is limited and depends on the collection and the condition of the materials. Researchers must not remove paper clips or staples from documents. Ask Archives & Special Collections staff for assistance. No tracing, folding, marking, or leaning on material is allowed. Researchers will keep materials flat on the surface of the table or in book cradles provided. Documents housed in folders must remain in the folder. Items must remain in the order in which they are found. Limited photocopying is allowed, depending on the condition of the item and copyright restrictions. Researchers may request a photocopy or digital copy from staff. Researchers may use personal cameras. Items will be removed and a researcher’s privileges revoked if they are observed in any behavior that could damage collection material. Researchers will complete a registration form upon arrival, present university or government-issued identification, and sign this form agreeing to observe the Archives & Special Collections Access and Reading Room Policy. Any type of purse, bag, briefcase, laptop case, etc. Obtain permission from staff before taking any photographs. Provide a list of all collections photographed. Include in each photograph a strip provided by Archives & Special Collections stating the repository name for citations. Keep accurate citations for all items photographed. Not disturb other researchers in the reading room. Not take photographs of the staff, reading room, or other researchers. Not publish images in print, post them on the Internet, nor exhibit them without obtaining permission from Archives & Special Collections. Not donate, sell, or provide the photographs to another repository. Request publication-quality images from Archives & Special Collections. Fees may apply. Obtain permission to publish from copyright owners. Archives & Special Collections reserves the right to deny permission to photograph material at its discretion. Cameras are available for check-out by UNO students, faculty, and staff at the library’s Main Service Desk on the 2nd floor. If you are using a digital camera, the Cornell University Library guide "Cameras as Research Tools: A guide to tools & techniques" and the Harvard Library guide "Zotero: A How-To Guide" offer useful guidance and suggestions. All reproductions other than with your personal camera, whether photocopies or digital reproductions, are made by staff. Due to the physical condition of some material or copyright restrictions reproductions may be limited or not possible. Reproductions in any format may not be further reproduced, sold, shared, or given to another person, company, or institution for any purpose without the written permission of Archives & Special Collections. It is the responsibility of the user to investigate the copyright status of any given item and obtain permission where needed prior to publication or distribution. Requests for reproductions should be as specific as possible as Archives & Special Collections staff cannot undertake individuals’ research projects. Researchers who cannot visit Archives & Special Collections may contact the department to request the names of local researchers. Reproductions will be made in the following formats: PDFs, JPEGs, and photocopies. Delivery of digital reproductions is free via email or cloud-based file storage. Reproductions of audio and video formats may in particular be complicated and require close consultation with Archives & Special Collections staff. When the digitization of audio or video materials cannot be completed by Criss Library staff because of the fragile condition of the source material or unavailability of playback equipment in the library, a quote to digitize the item(s) to appropriate archival standards by a vendor may be requested. Permission to use materials must be obtained from Archives & Special Collections. Fees for the publication, display, or broadcast of material from Archives & Special Collections may apply for commercial uses. Criss Library’s Archives & Special Collections grants researchers permission to publish, display, or broadcast materials from its holdings for which it holds ownership and/or other rights. Permission must be requested for publications in any format including print, electronic, web, film, or other. Unless explicitly transferred to the university, copyright to material may be held by the creator(s), their heir(s), or designee(s) and it is the responsibility of researchers to request copyright permission from those individuals or entities separately. All researchers requesting permission to publish material must complete this form and submit it to the director of Archives & Special Collections. If your request is granted, you will be notified within 10 business days. Researchers may be responsible for associated fees. 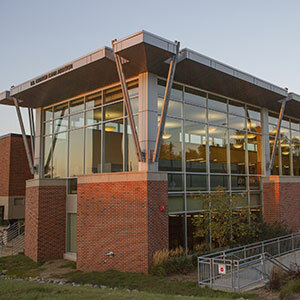 The UNO Criss Library’s Archives & Special Collections adds value to the lives of members of the university community and general public by increasing their appreciation of the past and understanding of the present through the specialized, rare, and unique collections the department acquires, provides access to, and preserves. Current and future areas of interest have connections to major research, areas of excellence, and university policy at UNO. Further developing collections that document Omaha can establish Archives & Special Collections as a center for research, scholarship, and creative expression for the campus and broader community. The emphasis of the Arthur Paul Afghanistan Collection is on building a comprehensive collection of research materials on the study of Afghanistan. The focus of the collection is material from the U.S. and material from Afghanistan. Selected material from other countries may also be added to the collection. The Arthur Paul Afghanistan Collection aims to expand and serve as a disciplinary repository for recent research and born-digital material through DigitalCommons@UNO, the university’s institutional repository. Collecting level: Comprehensive for material published in the U.S.; Instructional Support for collections of personal papers and organizational records. The Rare Books collection contains unique and specialized items of local, state, and regional interest in addition to a wide variety of materials in many subject areas with a particular focus on Omaha history and pre-19th century books. Pre-1920 Nebraska imprints are considered for inclusion in Rare Books. The department collects material in support of the Icarian Collection. Small press material and artists’ books from around the United States are collected, with particular strength in Nebraska and Iowa presses. Collecting level: Instructional Support; regional and local history: Basic Information. Material Special Collections includes unique and specialized items of local, state and regional interest with a particular focus on Omaha history and culture. Areas of focus are individuals and organizations which have traditionally been underdocumented; the arts in Omaha from the 20th century to the present; and material in support of the Criss Library’s Barbara A. Holland Collection for Service Learning and Community Engagement (SLCE) – including personal papers of researchers, organizational records, pamphlets, ephemera, curriculum kits, games, and other historically significant material. The University Archives in Criss Library's Archives & Special Collections is the official repository for official and unofficial records related to UNO history. The collection includes office and department records, course catalogs, university and student publications, committee records, audiovisual material, personal papers, organizational records, scrapbooks, correspondence, photographic materials, graduate and undergraduate theses, artifacts, and other formats and materials that document UNO history. Official records and publications of the University of Nebraska at Omaha encompass the records generated or received by all UNO offices and departments in the regular conduct of business. This typically includes correspondence, subject files, reports, meeting minutes, publications, and other material. University Archives acquires and provides access to personal and professional papers of UNO faculty, staff, and alumni as a means of documenting the life and culture of the university community. In addition to official university records, student life at UNO is documented through material sought directly from individuals and organizations creating and collecting the material. In addition, other unofficial collections documenting the history of the university are sought including: the history of Nebraska as it relates to the growth and development of UNO; published material about UNO and its place in the history of higher education; other records of unofficial faculty and staff organizations. Collecting level: Comprehensive for official university records and Research for all other areas. The U.S. Senator Chuck Hagel Archives includes his legislative papers, campaign records, artifacts, and other materials from his Senate career. Additional material from other phases of Hagel’s professional and personal life are also of interest for future additions. Consideration is also given to documenting individuals and organizations associated with Hagel. Electronic or Digital Records - Where items originally existed in a non-digital format, we prefer to acquire items in the non-digital format, accepting the digital format as a supplement or, if the original no longer exists, as a substitute. Digital records undergo an evaluation process similar to non-digital formats, which includes requesting provenance or descriptive information from donors. Materials that are born digital will be added to the university’s institutional repository, DigitalCommons@UNO, or other digital collections system as appropriate. All archives and special collections repositories have an obligation to preserve and make available for research the materials they acquire. Archives & Special Collections takes this obligation seriously and will not indiscriminately acquire materials for which it does not have the resources to properly arrange, describe, provide access to, or preserve. Archives & Special Collections’ archivists and librarians have primary responsibility for building the collections. Archivists and librarians will evaluate material offered to Archives & Special Collections to identify material that has sufficient value (administrative, historical, enduring, intrinsic or other value) to be added to the collection. Consultations with the library’s subject specialists, university faculty, or other subject experts will take place as appropriate during the evaluation process. Decisions on whether or not to add materials to the collections are based on a number of criteria including, but not limited to: age, limited editions, support of materials already in Archives & Special Collection, and other factors. Ultimately, all acquisition decisions are made by Archives & Special Collections on a case-by-case basis. Archives & Special Collections recognizes the rights of private donors to impose reasonable restrictions on materials. Restrictions on access should be for a fixed term and determined at the time of donation so as to be included in the donation agreement. Archives & Special Collections encourages minimal, temporary access restrictions. Material with permanent or indefinite restrictions on access attached as a condition of donation will be declined. Materials that do not reflect Archives & Special Collections’ collecting scope, do not possess sufficient archival value, duplicate other material in the collection, or that pose a threat to other collections or staff may be deaccessioned subject to documented terms of the donation agreement, university regulations, and state and federal laws. Deaccessioning does not apply to items removed or discarded in the course of regular archival evaluation and processing of collections. Deaccessioning decisions will be brought before the department for approval. Descriptions of the levels are available online from The Library of Congress.